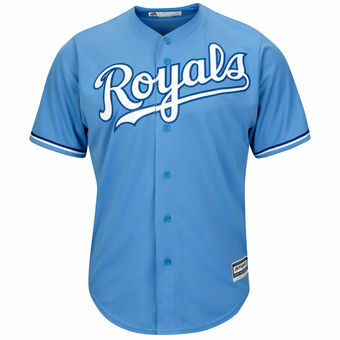 I know what you are thinking – didn’t the Major-League baseball season begin a few weeks ago? Midway through April, haven’t most teams played at least a dozen games? The short answer is, yes. 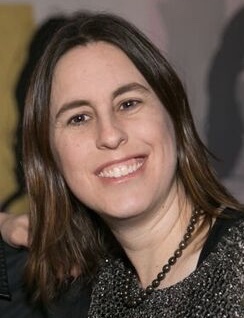 The 2018 season opened on Thursday, March 29, and I was lucky enough to watch it live with my good friend Meir (a super-fan) in Israel. But, I was so far away from where the action happens. After I watched opening day (at 11:00 at night, semi-conscious), it seemed as though the baseball season really launched without me. 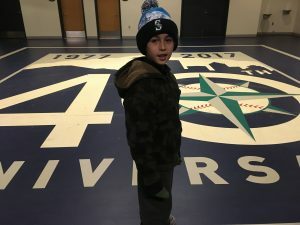 If I wasn’t there to watch the games on TV or go to a game with my son, it was as though the season hadn’t really begun. 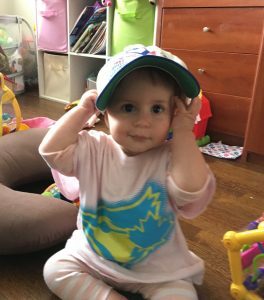 We arrived home from our whirlwind trip on Thursday, and my team, the Toronto Blue Jays, had an off day. I was so jet lagged on Friday that I slept through the game. I was ready, both mentally and physically, to watch the Jays play Cleveland on Saturday afternoon. Rain got in the way. Same on Sunday. 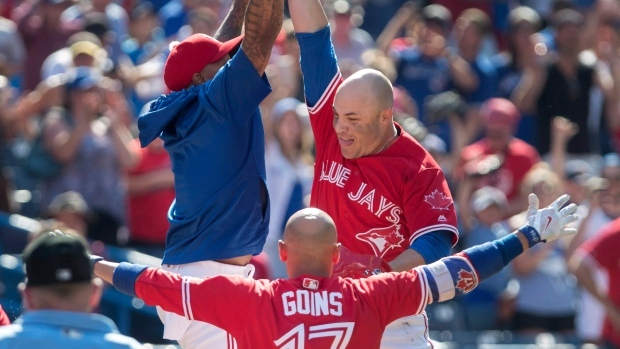 Then a chunk of ice had to smash through the roof of the Rogers Centre in Toronto on Monday. Another game postponed. Finally, on Tuesday, baseball came back to my life. A double-header. A double-whammy. My dream, hours and hours of baseball, all afternoon and evening. It was a slow start to the first game, but then the boys woke up and started to whack the ball in every direction. 11-3 final score. No complaints here. I continued on, to watch game 2, which the Jays won in the bottom of the 10th. I was on pins and needles, but it was a great ending, thanks to Luke Maile. Many people complain that baseball is too slow. It is definitely not the sport of choice for people who like fast-paced action-packed sports. It’s one of the few sports (maybe golf too) where you get a mix of athletes who are in the best of shape and others who are overweight and out-of-shape. You get to know the life story of the commentators as they share their tales between pitches. With an average length of just over 3 hours, watching a complete baseball game is a commitment. And I love it. I love every minute of it. I don’t care how slow it moves, that some of the players can barely jog to first base or that a blister puts a guy on the disabled list for ten days. Baseball has personality. A team can score up to four points (okay, runs) with one swing of the bat. The manager (known in almost every other sport as the head coach) wears a uniform, just like the players, who are half his age. Even the players who are out of shape look better in the uniform, but kudos to him for putting it on each night. That I can get a ticket, in a decent seat, for under $30. I may spend more than that on snacks when I’m there, but that’s my choice. Even during and after an ice storm, it feels like summer when I’m watching a game. That I can write while I watch the game, or make dinner, or carry on a full conversation with the person next to me, because the action is slow enough. Endless statistics. How many players have hit a home run, during a home game, with a player on second base and two outs? Baseball has an answer for that. Great catches. 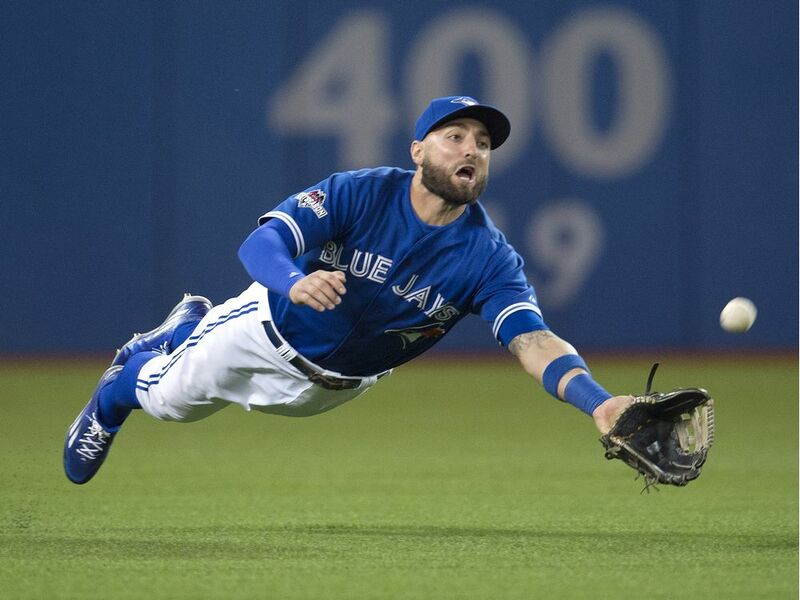 Great, diving catches (thanks in large part to Kevin Pillar!). Players jump on each other, like they just won the World Series, when they win in extra innings. Did I mention that I am thrilled that baseball is back? And because it’s only April, I have months ahead to enjoy it. Whether my team wins or loses (okay, I always want the Jays to win), I will always be a fan of baseball. My son Matthew loves baseball. I would consider myself to be a baseball fan, but Matthew has taken it to a new level. 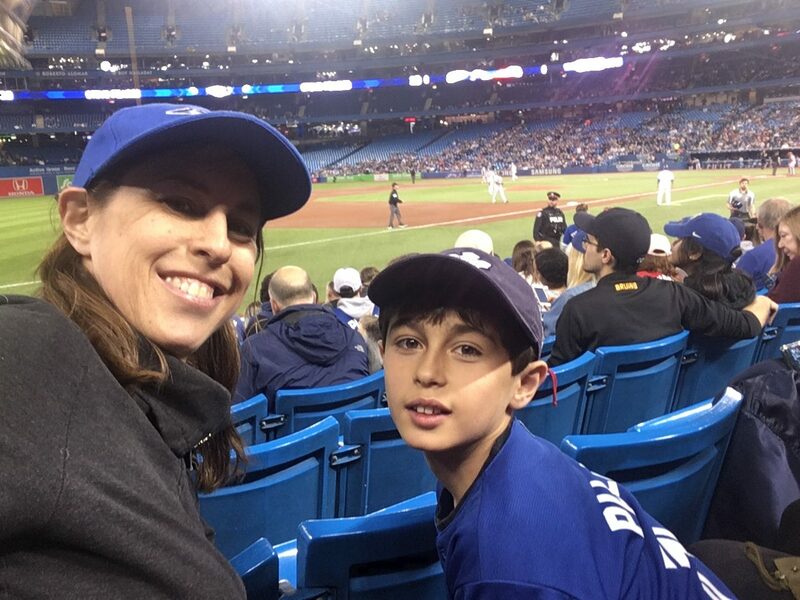 He doesn’t just love the Toronto Blue Jays, he loves baseball in general. He talks about the sport all the time, air pitches all over our house and watches live games or highlights every chance he gets. 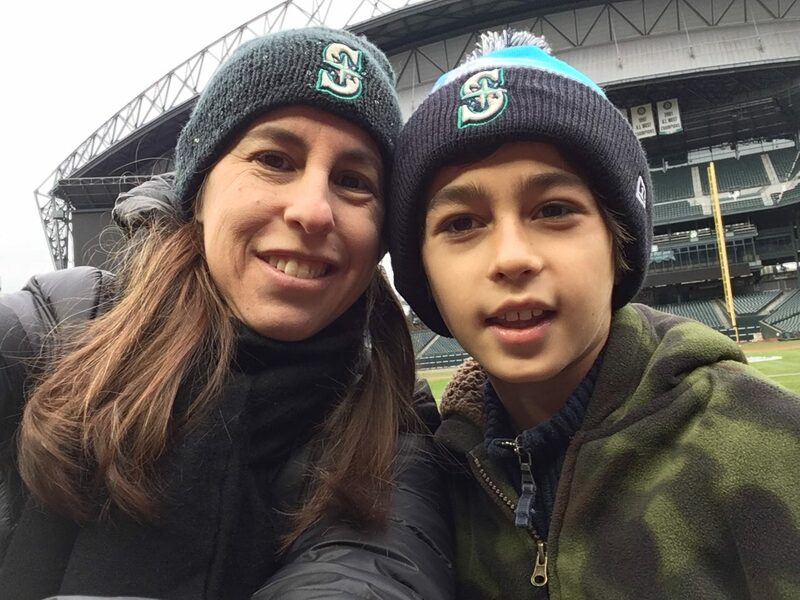 His dream is to visit every Major League ballpark, all 30 of them, during his childhood. 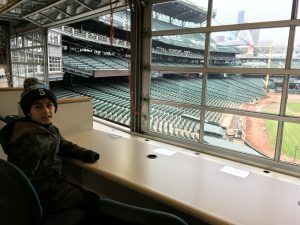 This week he checked one off his list with a tour of Safeco Field, the home of the Seattle Mariners. Have you ever visited a Major League Baseball park during the off season? It’s a very different experience. First of all, it’s really clean. And it’s quiet. So quiet that it’s almost eerie. 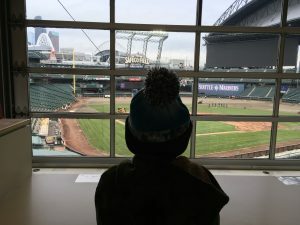 It almost feels like you are a celebrity or you are in a movie where you are that main character who appears on screen in the empty ballpark. And it’s really cool! Our guide greeted us in the Safeco Field Mariners’ store (of course, that way we could make souvenir purchases, like our new hats, before the tour even began!). 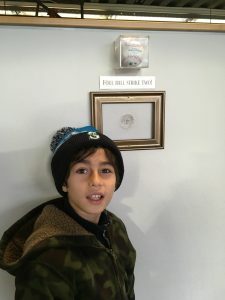 He was dressed head to toe in team gear and knew everything about the local baseball club and the building in which they played. 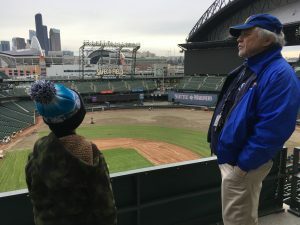 As we traveled through the various levels of the stadium, from the concourse on the 100 level to the cheap seats on the 300 level, our guide shared with us his tremendous knowledge of everything Safeco Field. It’s fan friendly and its roof really is a “retractable umbrella.” The incredible rolling mechanism, which is actually in three parts, is quite the engineering feat and I believe weighs, in total, over 20 million pounds. But it’s not a roof, as it’s above the lights and allows fresh air to flow through the stadium. Amazing. Once we had a taste of the stands, our guide took us indoors to the restricted zones of the building. First we visited the private suites, then we headed up to the press box. It’s a place I knew well from my early days in sports media. Well, I spent time in the press box at the Rogers Centre, so it was my first time in the press box at Safeco Field. Wow, it’s a big one, with a perfect line ahead to home plate and the pitcher’s mound. The protective netting behind plate at this ballpark is also quite low, so a journalist who is not paying attention could get a line drive in the head if he or she is not careful. Oh the walls could talk there! We then traveled down to the bowels of Safeco Field, to the most restricted part of the stadium. We saw the exclusive Diamond Club for people (or corporations) who pay big bucks for the fancy seats first then headed down the hall to the visitor’s clubhouse. Matthew loved this part of the tour. Since it’s the off season the locker room of course was not in use. 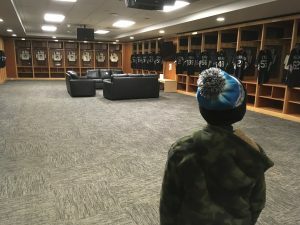 So the Mariners’ tour team had the space set up with its team jerseys to give us an idea of what the locker room would look like if some uniforms were set up. The 5,000 square foot space includes a kitchen and dining area, showers, toilets and the main lounge and locker area for the players. We didn’t see the Mariners’ 15,000 square foot clubhouse, which I am sure is quite the space. The final stop on our tour was the dugout. It was so exciting for our little group as we walked along the same tunnel that all our favourite players pass through on their way to the field. 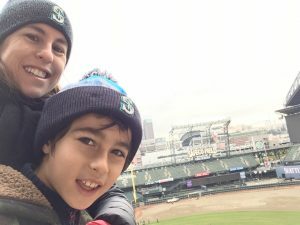 One guy started to do his own play-by-play, imagining it was game 7 of the World Series, and he was the star player, about to enter the stadium to cheering fans. There’s something magical about walking into the 47,000 seat stadium via the dugout. You can almost taste the game that is played in this sacred place. 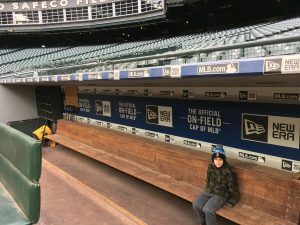 Matthew and I together imagined the exact spot where the manager sits and the chatter among the players along the bench. We loved it. 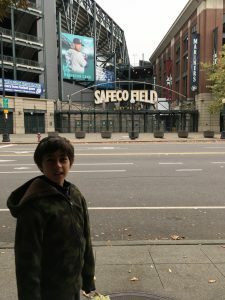 Matthew and I have visited three ballparks together so far – Rogers Centre in Toronto, Wrigley Field in Chicago and now Safeco Field in Seattle. I look forward to more games and more tours. I will help make sure my son’s childhood dream comes true. My daughter is a little firecracker with enough energy to light up a city. People turn their heads when she enters a room, with this energy she has and her charisma. She is a smart, sociable and friendly little girl. And she has a green belt in karate. My daughter may be only 7 years-old, 3 ½ feet tall and 40 pounds, but I wouldn’t mess with her. She will take you down. And I am proud of her and the way she has embraced a sport she loves and at which she has excelled. It is a well-known fact that females do not participate in various aspects of sport as much as males. More, but not all, girls participate more widely in activities like dance or gymnastics. While every active pursuit has its merits, I think girls are often underrepresented in traditional sports like baseball, hockey or karate. I am not going to dive deep into research and quote any statistics about the importance of sport for everyone – children and adults or males and females. Whether you participate in a team or individual sport, I think it is both physically and emotionally healthy to do so. I am not a, shall we say, natural athlete. I was drawn to the idea of sport when I was a child and was lucky to live on a quiet street where all the kids hung out outside and rotated between various sports each day like baseball and ball hockey. I couldn’t catch a ball (I still can’t), but I could hit the ball down the street with one swing of the bat. I was fearless with my hockey stick and shot the puck past all the big boys in goal. As I grew up, in the 1980’s, I had a few female friends who played competitive hockey or maybe soccer or lacrosse. But for the most part, our parents signed us up for dance, piano, gymnastics, figure skating and maybe swim lessons. It wasn’t on their radar to put their daughters on a local baseball team or power skating class. And it didn’t occur to most of us girls to do anything different. But for me, in 2017, as I raise two daughters, I want them to embrace sport. It doesn’t really matter to me what sport they choose, but I want them to know this is a choice they have. 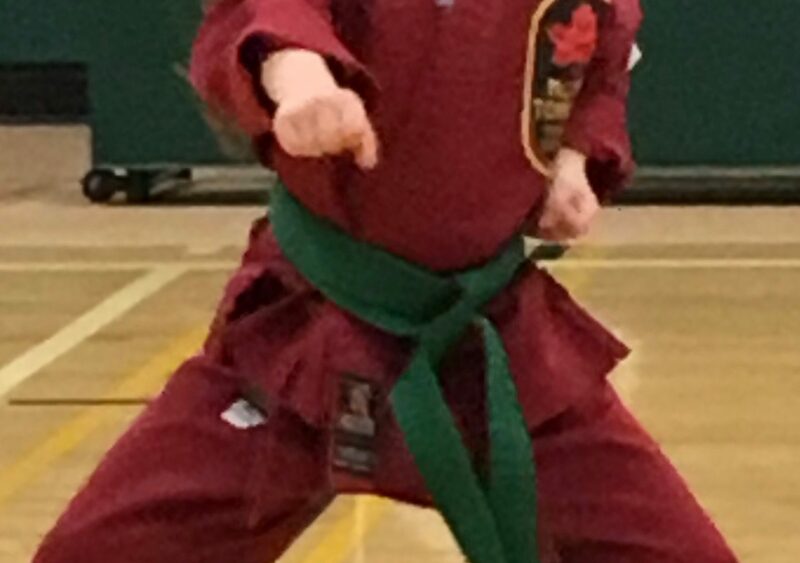 We signed up our kids for karate when they were quite young, and my daughter in particular has shined. She is a natural at this sport, and as she trains and becomes quite skilled, she loves it more. Karate has taught her about self-discipline and respect for others. She has learned self-defense and has tremendous muscle strength. She may be small, but wow she is mighty. The baby can’t even walk yet (but she could beat me hands down in a bum-walking race across the kitchen! ), but as she grows up I hope she wishes to pursue a sport of her choice. I want my girls to know that they can do anything they set their minds to. I want them to dream big. If my 7-year-old wants to get her black belt in karate or if the baby wants to be the star pitcher on a baseball team, great. In my house, the pursuit of sport is open to my son and my daughters, and I hope that is the case in every household. Girls thrive when they are involved in sport, so let’s all stand with our girls to be active, competitive and successful. It’s Sports Wednesday today, and I have been thinking about the playoffs. More specifically, I have been thinking about baseball playoffs, and it makes me kind of depressed this year. 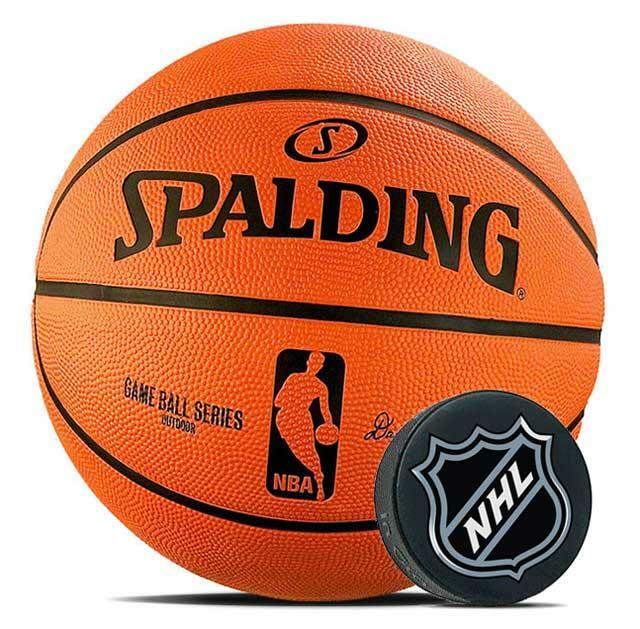 Depending on the sport you love, the specific weeks each year leading up to the playoffs are exciting and special, especially if your team is in the hunt. If you are a hockey fan, late March and early April can be stressful. Same thing if you follow the NBA. For football fans in the United States, December is a key month. If you are a fan of the Canadian Football League (CFL) that feeling of playoffs fever starts to rev up in October. I love sports, and as I have written before, I am a huge baseball fan. Over the winter, I count down the days until spring training begins. I like to watch as many games during the regular season as I can. For me, each game is exciting. But as every day passes during the long baseball season, which runs, from April 2 to October 1 in 2017, my excitement grows. I remember listening and watching the Blue Jays’ first game of the season, back on April 3 in Baltimore. The play-by-play team was already talking about the playoffs. It’s on our minds from the moment the first pitch is thrown. If your team wins the first few games of the season and sits in first place, you start to dream about the playoffs. Could my team make it all the way, you ask yourself. Will my favourite player win the batting title? My favourite pitcher got a shut-out in his first game, so could he be up for the Cy Young Award this year? As the season rolls on, from spring into summer, we all start to discuss the prospects of our favourite team making the playoffs. If you are a super-fan or an encyclopedia of statistics, you start to calculate the various scenarios that will either put your team or keep your team in the playoff hunt. When we hit September, there is a special feeling in the air for baseball fans. Playoffs fever is in the air. 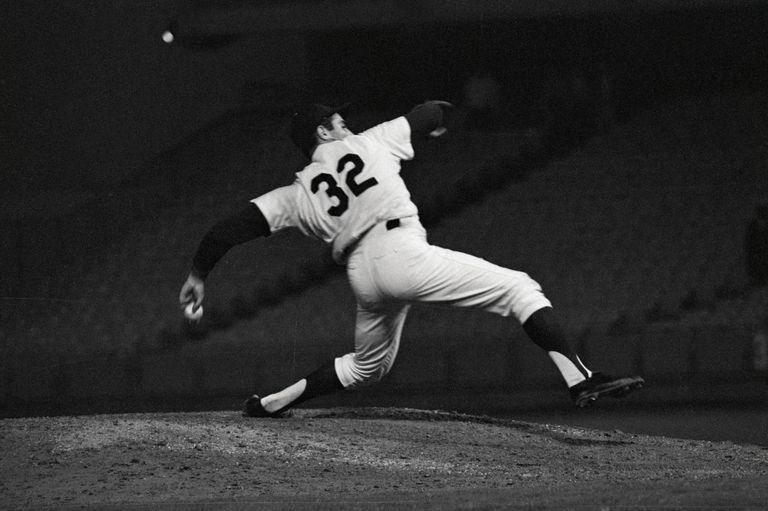 A single pitch or at-bat can change everything. One loss or one win can be the difference between playing golf in October or going to the World Series. That is, if your team has playoffs prospects. 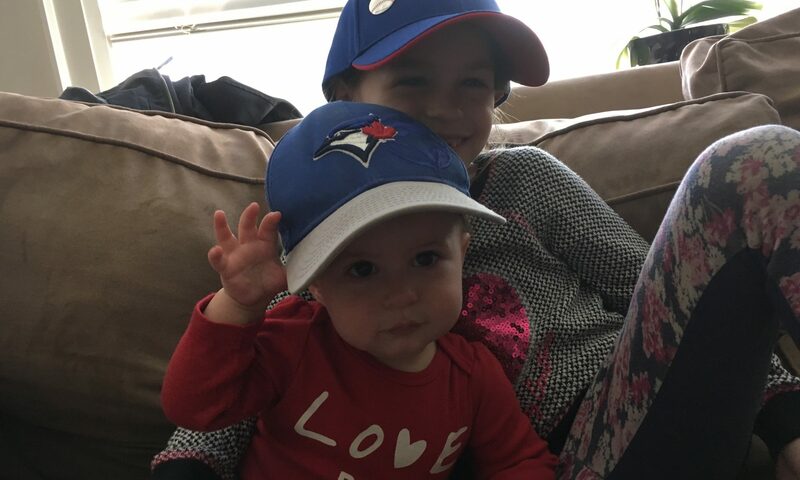 I was lucky the last couple of seasons, in 2015 and 2016, when my Blue Jays were deep in the playoff hunt. Our family didn’t miss a game. When I watched each day my heart beat so fast that I couldn’t sit still. I was torn because I didn’t want to miss a moment of the game, but if the Blue Jays were on the brink of losing a game I just couldn’t watch. It was stressful, but oh was it exhilarating. 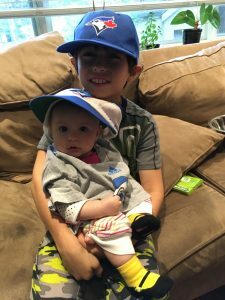 Nessa became a huge baseball fan! But not this year. The Blue Jays have had a rough season. This September they are focused on finishing off strong and looking ahead to next year. I will still watch they play and cheer them on, but that playoffs fever is just not there. I am looking around at the other baseball teams in contention, and my mind quickly switches to the National League. Go Cubs Go!